We’ve got another rugged case to tell you about as part of our accessory spotlight series, which is where we showcase a variety of accessories, from cases to speakers, which are top of their class. We select the products in this series to highlight based on a high consumer rating, although we may not have tested them ourselves. You may know by now that I love camping. I also love bringing my gadgets with me when I spend time in the great outdoors. I know that goes against what most people consider “roughing it,” but some of my favorite pastimes involve sitting around the campfire listening to podcasts, or watching a movie in my tent when the world outside is totally black. 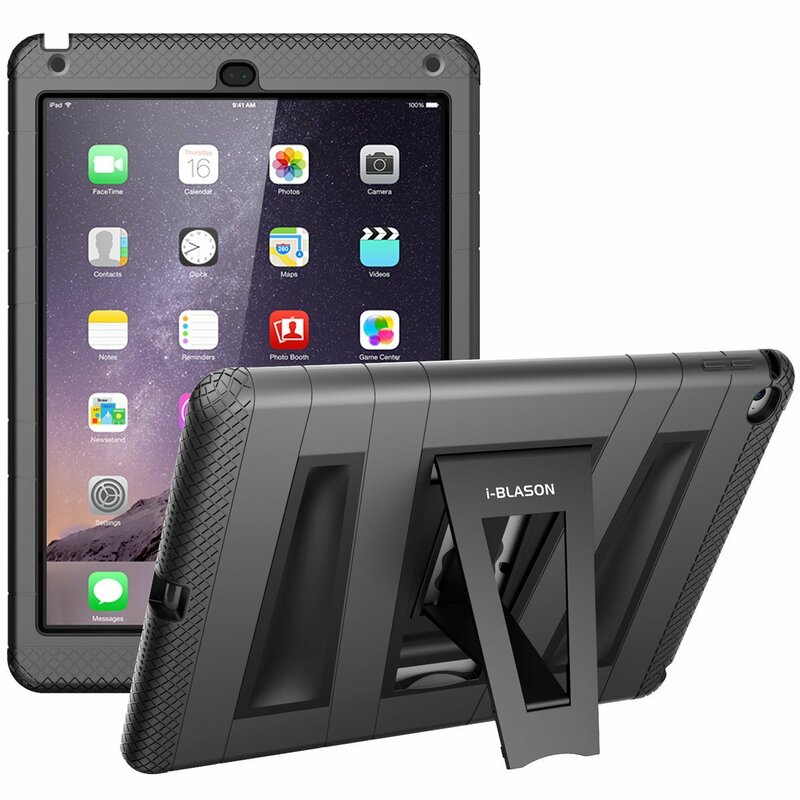 If you like to bring your iPad Air 2 with you on camping trips, or maybe you are just prone to accidents and just want to protect your tablet with a rugged case, you should check out the ArmorBox by i-Blason. i-Blason is popular for their ArmorBox series of cases for smartphones and tablets. 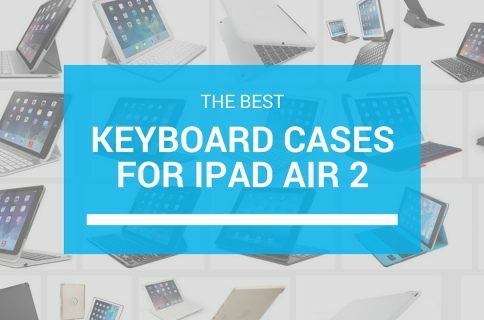 The dual-layer case for iPad Air 2 has one polycarbonate, impact-resistant hard shell and a second silicon soft cover for extra cushion and grip. 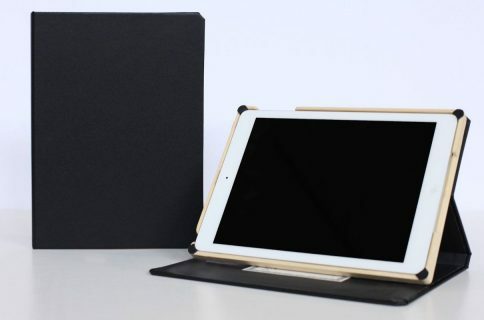 The plastic hard shell is form-fitted to the iPad Air 2. It features a top section with a built-in screen protector, which keeps out dust and particles when you are hiking the trails. Conveniently, the screen protection top section is optional. The backside of the hard shell houses a kickstand. 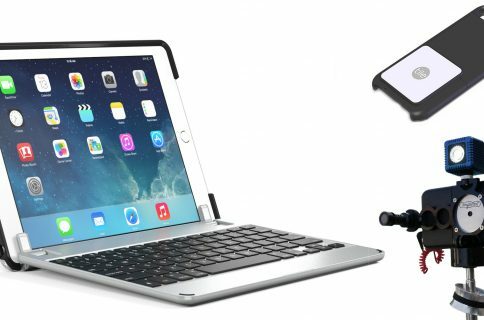 Once the case is secure, you can slide the kickstand out and set up your iPad in landscape mode for watching movies. The silicone soft cover comes in a variety of colors and slips over the top of the hard shell. It provides a second layer of protection from drops, but also gives you a bit of extra grip if you tend to have fumbly fingers. The ArmorBox comes in all black, or black with blue, red, or yellow, and white with green, pink, or purple. You can pick one up on Amazon for $23.